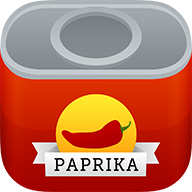 Your license key was originally sent in an email titled: Your Paprika Recipe Manager for Windows Product Key. Search your email records for this email. If you are unable to find your license key, you can use the below form to automatically have your license key emailed to you again. You'll need to enter in the email address you used when purchasing your original license.